The Miss World Organisation has announced that the impressive Sanya City Arena will be the final venue for the 67th contest for the first time ever. While previous editions of the contest in Sanya took place in and outside of the Beauty Crown Theater, this year it's time for a whole new Miss World experience in Sanya. Beijing Rise, a company who has designed for the Olympic Games and the Eurovision Song Contest, has come up with a set that incorporates the whole arena. 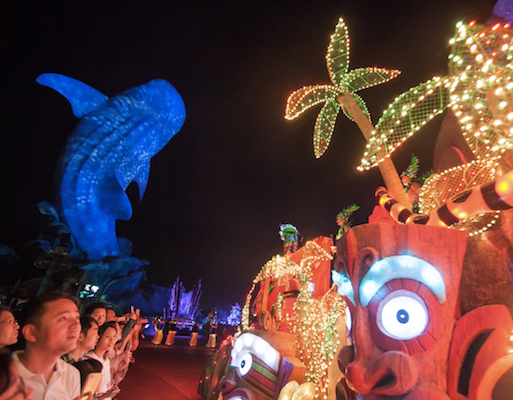 On October 31st, more than 100,000 spectators will witness a spectacular parade at Chimelong Ocean Kingdom, which will mark the official opening of MIss World 2017. The contest will then compete in the Top Model, Talent, Sports, Multi-Media and Beauty With A Purpose fast tracks as well as the new Head to Head Challenges to view for a spot in the top 40. The Miss World final is scheduled to take place from 19:30 to 22:00 (Beijing time) on the 18th of November. Photos and information courtesy of the Miss World Organisation!